Learn the basics of selecting colours and fibers for a Fair Isle project, an age-old technique that uses two strands at a time. Gain confidence reading a chart, and learn the Philosopher's Wool method of catching floats while making a unique cup cozy. Then hold your breath, take up your scissors, and safely steek (or cut) your project to create a button band! Finally, master finishing techniques like picking up stitches for the button band, button holes, and sewing on buttons. 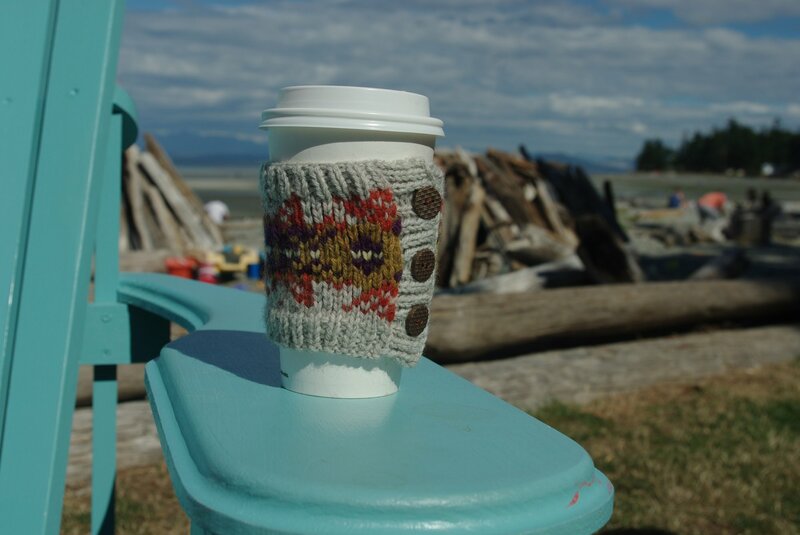 Please download the free Steek This Coffee Cozy pattern by Rachel Henry from Ravelry prior to the first class. Please bring 3.75mm double pointed needles, 3.75mm crochet hook, sharp scissors, stitch markers, darning needle, notebook, and pencil to the first class. Kits will be available for purchase at the first class for $9.99.